The flows on the Lower Yuba are now at a "normal" 2,800 CFS. The river has changed drastically and was difficult to fish effectively from the bank. 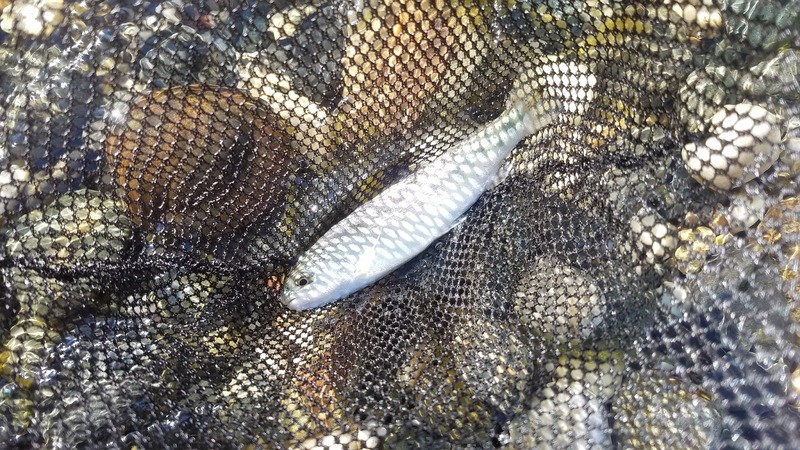 I caught plenty of small trout both on hoppers and nymphs but overall nothing too exciting. The fish were more reluctant to take on the retrieve rather than the dead drift which was very interesting. Hot summer days on the Lower Yuba are usually not very productive but it was good get out for a few hours. I've officially hit the summer slump. Hot triple digit days and too few days off work to travel have slowed down my fishing adventures. Tight lines and stay cool out here! Perfect timing of a post. Thanks. Not hearing much on the lower Yuba these days. Was thinking about getting out for day and swinging soft hackles for some spey practice. Haven't been out on the river in forever. Did you happen to go by Hammond? - How was the access? I wasn't able to get to Hammond but the fish are willing to take a swung soft hackle or nymph especially if you give it some movement on the retrieve. Mostly smaller fish. I observed mostly mayfly nymphs and haven't seen a single caddis the last couple times I was out there so it might be a while before they come back. Access is pretty limited along the banks. If your drifting down then you'll definitely find better water. The river is still into the willows which are where most the fish are at since those sections have gotten deeper. Overall it's worth a look if you haven't been out there but don't expect much.